Tropical and subtropical plants provide to pollinators a range of nutritive and non-nutritive materials as alternative to pollen and nectar, including resins, which are gathered by females of several groups of social and solitary bees. Although resin-like material has previously been recorded in Maxillariinae, these investigations generally did not present data relating to pollinators. In fact, the collection of resins has never been recorded elsewhere in orchids. 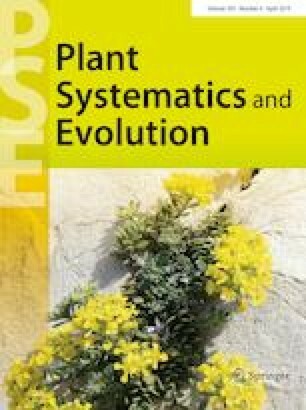 The aim of this paper was to provide a detailed study of the reproductive biology of an Amazonian Heterotaxis, H. superflua, based on records of flowering phenology, floral morphology, pollinator behavior and breeding system. Heterotaxis superflua offers resin-like material to pollinators and is pollinated by a single species of stingless bee. The resin is a heterogeneous material rich in mucilage, starch and sugars, while lipoidal substances occur as small droplets. Chemical analyses confirm the presence of sugar, which explain the presence of reducing sugars and mucilage detected in the histochemical investigations. Our data also showed the Heterotaxis is self-compatible and pollinator dependent. This study demonstrates for the first time the collection of resin-like material in orchids. The gathering of resin is frequently associated with the nest construction, since this material is considered to be a water-repellent and has anti-pathogen chemical properties. Despite offering of a floral reward, fruit set under natural conditions is lower than for experimental pollinations, suggesting limited pollen flow within the population.